Here’s a list of overused words in Twitter bios that fail by telling rather than showing. Nothing shouts “leader of a cult with one member” more than a self-titled “guru.” Unless you’re a yogi or a certified leader of Eastern religion, leave the Guru-ing to, you know, Gurus. Back in the day, “nerd” was an inflammatory word that conjured up images of taped-together glasses and greasy hair. Today, “nerd” can be synonymous with “enthusiast,” both in meaning and frequency of use on the internet. The debate has raged over the differences between nerds and geeks since Sputnik. This venn diagram indicates a geek is a nerd with social skills. There are a lot of networked nerds out there. It may feel sensitive to finish off your bio with “human” or “person.” But your writing should prove you’re not a robot. If your bio says “father, skateboarder, guitarist, social media guru, cyborg,” THEN we’re excited. Do you add “Earth” to your mailing address? Don’t despair if you’re using some of these words or phrases. But if you’re using two at once — for example Social Media Enthusiasts (2791) or Expert Gurus (470) — do some pruning. And if you’re using three — Online Mavens of Geekdom — hire a human. Bonus: There are 8901 ninjas on twitter. Who’s minding the dojo? For more fun with buzzword (ab)use, check out LinkedIn’s most overused profile buzzwords. See also @scottgould‘s post about Twitter bio uniqueness. The reviews are in. Blogads’ SUXORZ panel — with panelists Brian Clark, BL Ochman, Jessica Amason, Brian Morrissey, moderator (Blogads CEO) Henry Copeland and Social Media DJ Jon Accarino — last Thursday night was an unFAIL. 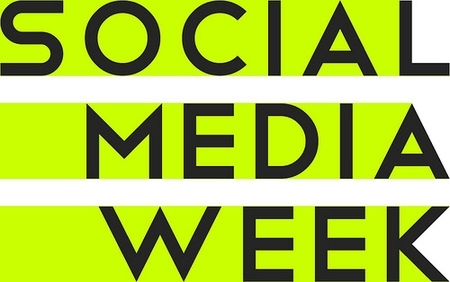 New York’s Social Media Week featured wall-to-wall sessions on how marketers can do social media right, but nothing can hold a candle to the sheer Schdenfreude of watching the brands and agencies that are doing it wrong. Horribly, horribly wrong. Last night at the SUXORZ awards, we celebrated schadenfreude at its best, taking a look back at poorly executed social media initiatives. We must punish failure as well as praise excellence. Or, at least, that was the mood at the fourth annual Suxorz Awards event at Social Media Week on Thursday night. I try not to take myself too seriously, so it’s nice to do the same with the work that we do (PR, not ER!). Total irreverence was enjoyed by all last night at the #Suxorz panel at the Gershwin Hotel (pictured above), where we parsed the delicacies of the year’s most flat-footed and tone deaf social media campaigns. Just because your PR team makes you do social media doesn’t mean you get it. Of the week’s events, this one was the one that pointed out what good social media practitioners should not do. Already got ideas for next year’s SUXORZ? Log your nominees here. 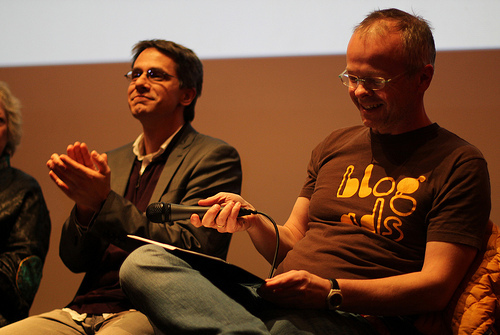 This is a compilation of notes taken by Blogads team members at panels during Social Media Week NYC, Feb. 1-5. The Oldest Media Goes Social: from books to blogs at Booz & Company with author AJ Jacobs, blogger Levi Asher, Wiley marketeer Natalie Lin, publicist Meryl Moss and moderator Henry Copeland. * 20 years ago, book publicists pitched to ~300 newspapers, now it’s down to ~25 physical papers and the online components of a few dozen more. * TV and radio shows remain the “big book movers,” but new media is an important complement. * While publishers and publicists encourage authors to establish and maintain an online community fewer than 50% stick with it. * A grassroots approach is ideal- to ask for feedback while you’re writing makes your fans feel more connected to your work. Authors who get online only when their book is published can feel spammy. * Plenty of attempts to “viralize” a Youtube video for a book fail miserably. * With all the noise, ads can help penetrate the haze, help the community realize that the author/publisher takes it seriously. * Social media can soak up a huge amount of time for a dedicated author. What’s Your Social Media Currency at No Longer Empty with Questlove, Andrew Katz and Marisa Bangash. * Brands are cutting out the middle men (labels, agencies) to align themselves directly with artists. Think Santigold for EA Games and Julian Casablancas for Converse. * Artists need more than just musical talent- they must be able to blog, tweet and interact online. * Blogs are well-respected content providers for reviews and inside information… it’s not uncommon for traditional pubs to lift blog content in lieu of writing their own reviews. * For those anti-SM folks longing for “what’s next”- focusing on the tools is a losing battle. You must focus on the changing consumer behavior- the why not the what. * Most of us work in an environment where we are paid even if our ideas aren’t selected. Some say that crowdsourcing is a waste of resources. You have 1,000 people designing a logo. 999 don’t get paid for their work; that’s a huge waste of resources. * Solution: Crowdsourcing doesn’t have to be a “winner takes all” model. Some consider it to be the new internship – allows inexperienced people to find a place to put their skills to work and try ideas. * “Coopetition” — when competing teams come together to benefit from each team’s specific skills. The more collaborative a group is, the less control you have. * Effective crowdsourcing requires good management or good editors or good curators to select team members that can be trusted. You build a community or marketplace of ideas. Good example: iPhone App Store. 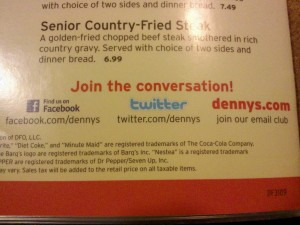 * Brands should get genuinely involved in social media instead of working through an agency. * Things go viral based on collective curation– we decide what’s good and then we want to share it, not because we’re told. * If you have a product with an Achille’s heel, don’t open it up to user-generated content. Example: The GM Tahoe “create our ad” campaign. * If you build a microsite, you need to drive an audience there and guarantee personality and conversation. FB provides great niche-targeted ads for this purpose. * Hornitos Facebook page is a good example of a brand existing within social media because it has a dedicated editor-in-chief, someone who understands the voice of the brand. They post interesting, novel content that is interesting to their consumer. It also had an activation budget. And don’t miss our write-up of the SUXORZ panel here. 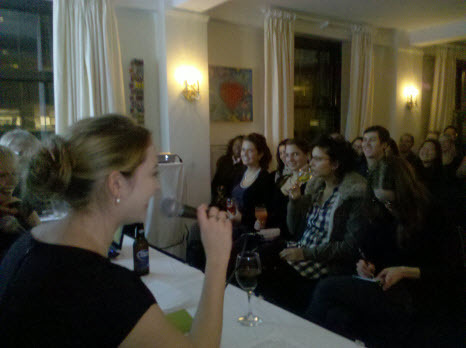 Thank you for rocking the SUXORZ last night at the Roger Smith Hotel as part of Social Media Week NYC! For those of you who didn’t make it, you can rewind the tape here: http://search.twitter.com/search?q=suxorz. Here’s the deck with all the examples of terrible social media advertising. Here’s the current map of the SUXORZ mob, attendees, panelists and alumni. The house was packed from screen to bar, and I apologize to folks in the back for the early amplification problems. Thank you BL Ochman, Steve Hall, Ian Schafer and Caroline McCarthy for presenting so eloquently. And thank you Jon Accarrino for powering the deck. Comparing last night with the SUXORZ we did in ’08 and ’09 at the wonderful SXSW festival in Austin, I think everyone’s expectations for the industry went up this year. Surreptitiously paying bloggers to flatter your brand, a major theme in past SUXORZ, has either stopped or gone underground. But fully disclosed stupidity still abounds, as we saw with Charmin, InsidetheBCS, Old Spice, Habitat, Ricola and Mars Candy. We saw that a social media campaign isn’t a date, it’s a marriage, when Agent Provacateur got dinged for its campaign hiatus. And we saw that experimentation can bring acclaim — Ford City Keys — or concerted kvetching, as with Gawker BloodCopy, PETA and Current TV’s twitter bid. We agreed, yet again, that you should NEVER underestimate the social media urge to f*ck you if your back is turned, as demonstrated by the profanely Tweeting billboard and NFL livetweets. Looking through the lens of this year’s SUXORZ panel, I think 2009 was the year that social media advertising and marketing grew up. Or at least stopped wetting the bed. Don’t let the dream die. Our mission never sleeps. SUXORZ are being perpetrated around us daily. While the average bozo dozes, we must remain vigilant. A young professional in the next cubicle over is right NOW scheming to screw up a profoundly beautiful social experience (aka the social web) with some $150,000 scheme to pay 250 tweeps to wear pantyhose while swimming in Lake Erie and drinking your client’s grape juice. Walk over to that cubicle and say “SUXORZ 2011!” Then ask: how can we celebrate people’s interactions rather than polluting them? Meanwhile, it’s your duty to chronicle travesties you witness in the SUXORZ Facebook group. 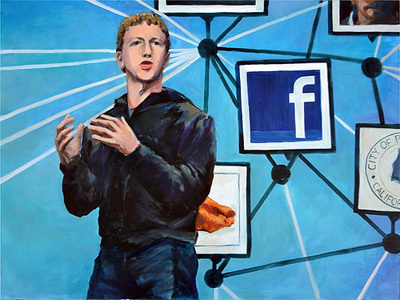 From the archives: Scott Monty’s take on SUXORZ March 2008. Update: At Brandfreak, Todd Wasserman adds good color and illustrations from the evening. We’ve seen two tweets from @BarackObama in the last 12 hours. That follows one tweet yesterday and two tweets last week. Obama tweeted seven times in May, twice in April, once in March, not at all in February and twice in January. Before that, the last time Obama tweeted was November fifth. The last time Obama tweeted twice in one day? Election day.